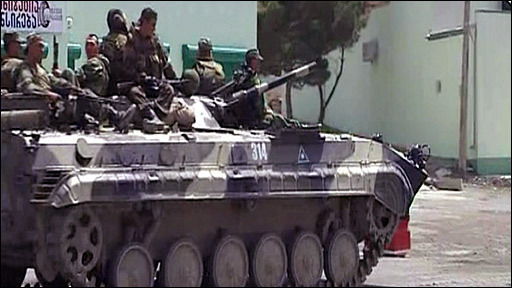 There are reports of looting in Gori, as Russian military vehicles patrol the streets in and around the Georgian town. A convoy of Russian vehicles has been seen on the road to Tbilisi, but Russia and a Georgian minister have denied it is heading for the capital. The BBC's Richard Galpin reports from near Gori.